Where to Buy Havahart 1079, Havahart 1079 Large 1-Door Cage Trap 32 x 10 x 12 - $56.95 for Sale with Fast Free Shipping! 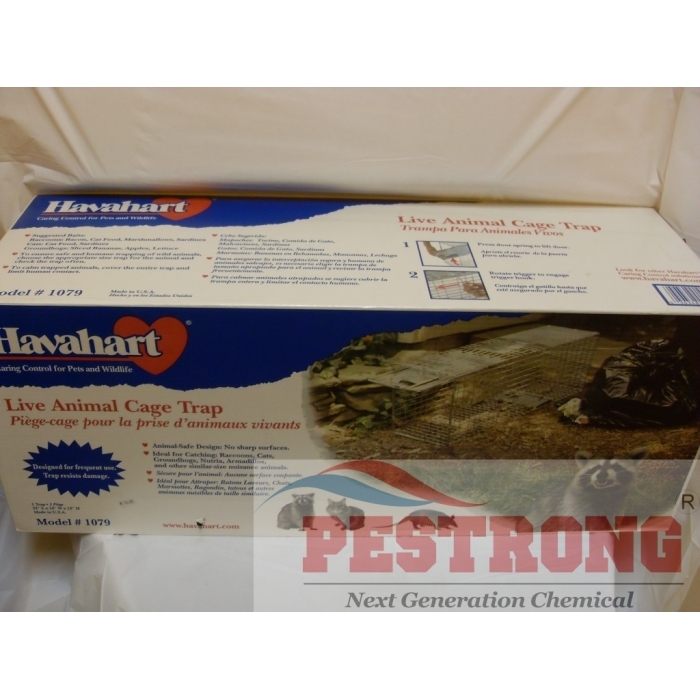 Havahart 1079 Large 1-Door Cage Trap 32 x 10 x 12 is a wire mesh galvanized steal trap features rust-resistant to prevent corrosion. Victor Mouse Glue Board Tin Cat M309 - 72..
Havahart 1079 Large 1-Door Cage Trap 32 x 10 x 12 is wire mesh galvanized steal trap features rust-resistant to prevent corrosion. 32" x 10" x 12"
I've been dealing with raccoons and wayward squirrels all around my home for as long as I can remember. I was using my old cage trap and it broke. It was never reliable at catching anything, so instead of buying a new one that I thought would be just as ineffective, I just borrowed one from a friend. I put out the cage with some bait to catch any trespassers and it worked wonderfully. After that, I found out which brand the cage was from my friend and decided to buy my own. The cage comes already assembled. Which is wonderful if you have a hard time following tiny instruction manuals that most other things that require assembly come with. The metal used for the cage is very strong. I was worried about some feisty raccoon tearing this apart, but those worries were put to rest. The trap door works smoothly and closes quickly, so there's no chance of a quick grab and go. I can't ephasize this enough, this is a great cage trap to catch and release those cute but annoying and potentially harmful little critters.